Elegant and efficient hydrotherapy tub class Economy. 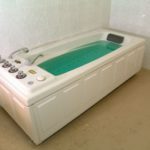 This tub is equipped with underwater jets, providing underwater hydrotherapy treatments including deep-tissue massage of a whirlpool, the light full-body air bubble massage and their combinations. 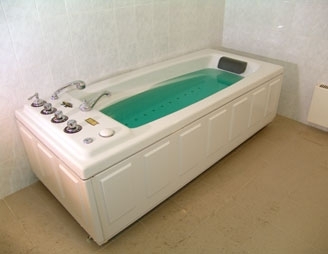 A-170 MB-05 is an advanced hydrotherapy tub, manufactured through different departments with extra care and attention given to each bath as it goes through the process.